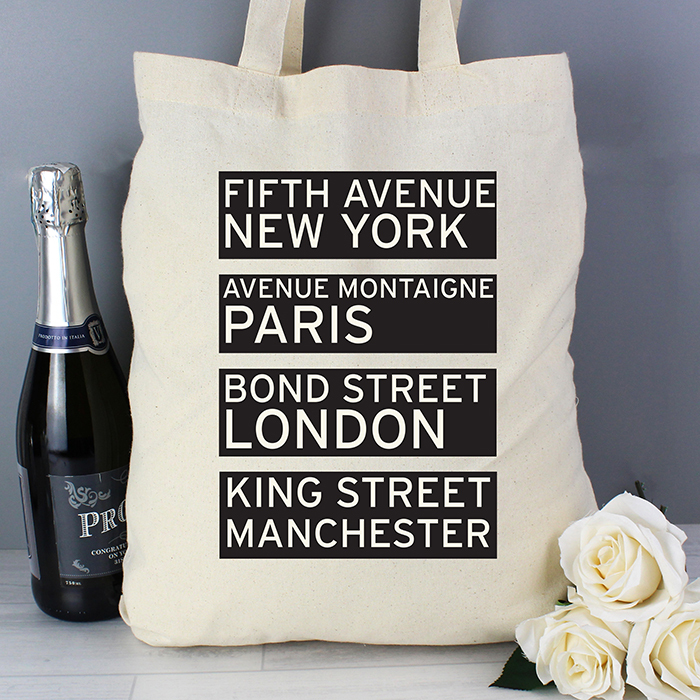 This Personalised Destinations Shopping Bag is perfect as an eco-friendly alternative to plastic bags, this 100% cotton bag is made from a sustainable material and is not only practical but a terrific fashion accessory. 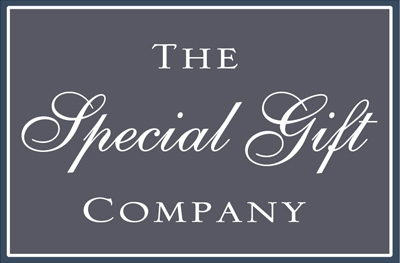 All personalisation will be in capitals as standard. 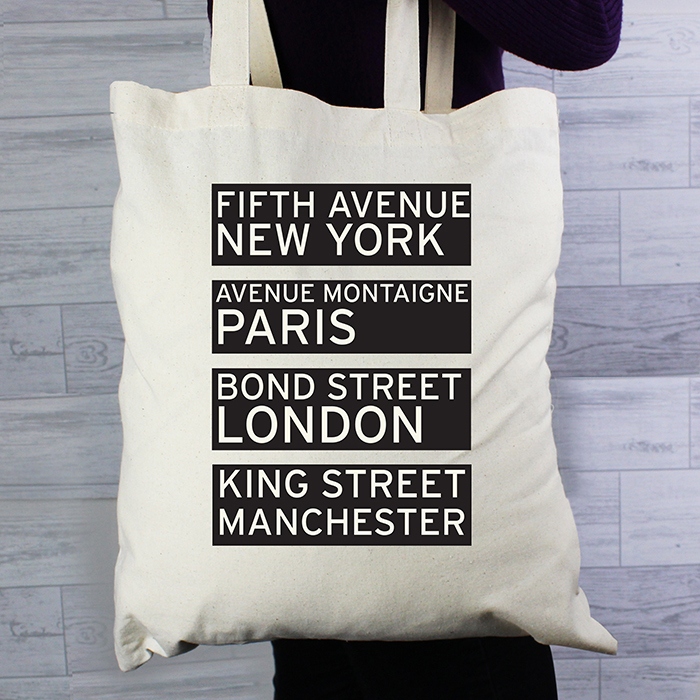 Eco-friendly 100% cotton bag made from a sustainable material. 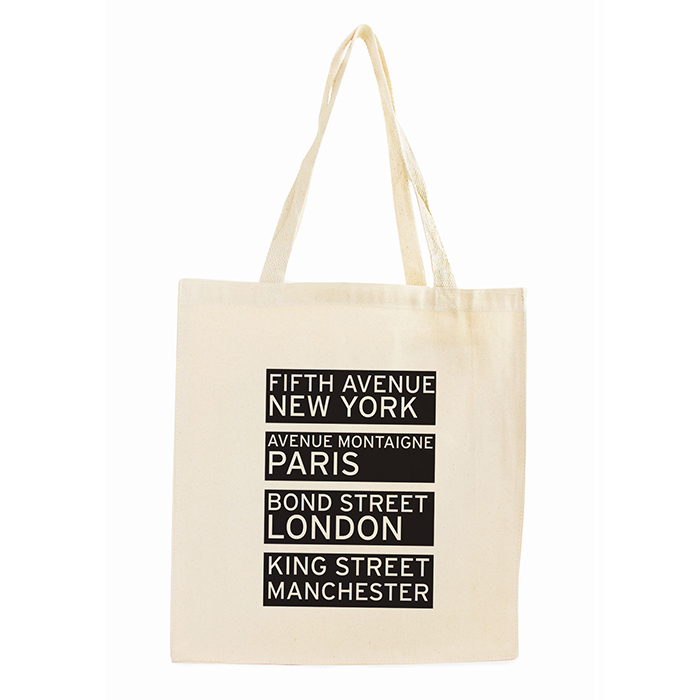 ‘Fifth Avenue New York Avenue Montaigne Paris Bond Street London’ is fixed text.